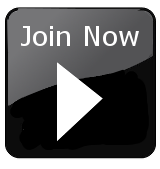 A square strike shield ideal for all ages. 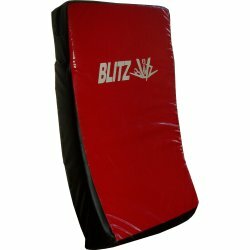 Can be used for kicking, punching or any other striking technique. Easy for children to hold. Contains three holding straps to rear of pad. 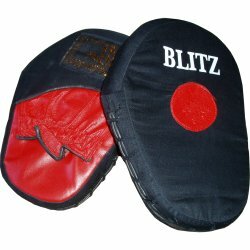 Canvas pad with leather cut finger glove, with leather target area to front of pad. Sold in pairs.